None of Brighton and Hove’s ten secondary schools is ‘outstanding’, writes Local Democracy Reporter Sarah Booker-Lewis. 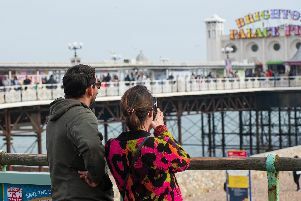 The issue was raised by Conservative councillor Andrew Wealls at the Brighton and Hove City Council Children, Young People and Skills Committee. Brighton and Hove has ten state secondary schools with nine listed as good and one as requires improvement. With 90 per cent of secondary schools, or nine of the ten, ranked as good, this is significantly more than the 79.7 per cent nationally. But nationally 23.9 per cent of schools are rated as outstanding. In response to his question Jo Lyons, the assistant director of children’s services, pointed out that some schools with outstanding ratings elsewhere were last inspected two or three years ago. Since then, the schools watchdog Ofsted had raised the threshold for rating schools good and outstanding. She said: “It is difficult to get outstanding now. She added that as most of the schools in the city were good, the council was working with them on going from good to great. Labour councillor Caroline Penn, vice chair of the committee, said that schools which were outstanding a few years ago might not be after Ofsted changed its criteria. She said: “Getting outstanding is considerably harder now than it was two years ago. Blatchington Mill, Brighton Aldridge Community Academy (BACA), Cardinal Newman, Dorothy Stringer, Hove Park, King’s School, Patcham High, Portslade Aldridge Community Academy (PACA) and Varndean School are all rated good by Ofsted. Longhill is rated as requires improvement.